Construction at the Old Kinderhook Country Club and Golf Course is progressing! We got the chance to check out the view from the fourth floor overlooking the Tom Weiskopf Signature golf course. Ranked on Golf Magazine's "Best Courses Near You" list as the #2 course in Missouri. View from the fourth floor. Old Kinderhook is located at 20 Eagle Ridge Road in Camdenton, MO.—off of U.S. Highway 54. The grand opening is expected to be in Spring 2015. Go to OldKinderhook.com for more information about the lodge . We have just completed another renovation: Welcome to the completely new slonearchitects.com! Our new Website now features our designs in high quality photography. Included in our site redesign is our blog section. We will be sharing projects and design related news. Check our new website and get ready to click around and experience the future of Slone Architects & Interior Design. And, remember to send us your feedback. Slone Architects & Interior Design is proud to have designed the Splash-A-Tourium at Welk Resort Branson. The following is the text of a Welk Resort's Press Release headlined " Welk Resor Branson Opens the Splash-a-Torium" and distributed on March 27, 2009. The Welk Resort in Branson is proud to announce the opening of The Splash-A-Torium, a new 10,000 sq. ft indoor/outdoor water attraction, new for spring 2009, located in the heart of the award winning resort. The Splash-A-Torium features a 117 ft. water-slide, indoor/outdoor pool and hot tubs, locker rooms, waterfalls, a dump bucket, squirt guns and lots of wet and wild “Splash Zones” for the kids, and the kid in all of us. Open year around the Splash-A-Torium is free to our hotel and lodge guests. Along with the new indoor water attraction, Welk Resort has also landscaped a beautiful outdoor section with comfortable poolside furniture to allow guests to relax and enjoy the warm Ozark sunshine. 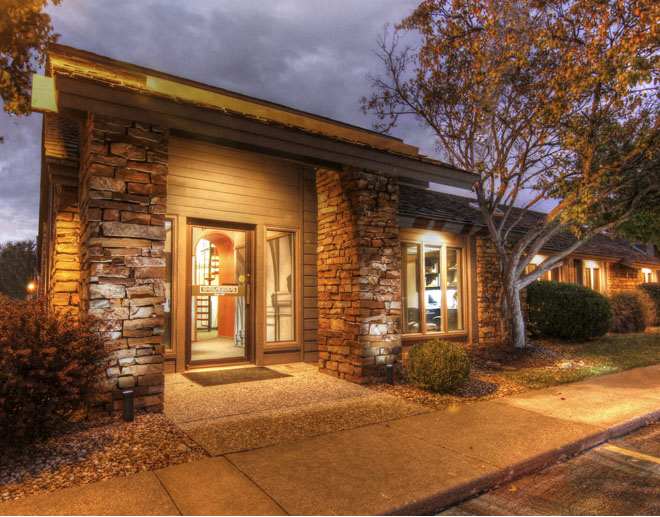 The Welk Resort is situated in the beautiful Ozark Mountains, next to Lake Taneycomo and Table Rock Lake. Celebrating their 15th season in Branson, The Welk Resort offers hotel and lodge accommodations, a 2,300 seat Live Entertainment Theatre, Stage Door Restaurant, Gift Shop as well as the new Splash-A-Torium. Since 1990 , Slone Architects and Interior Design has been the corporate architectural design firm for Metropolitan National Bank and it’s fourteen facilities. This newest two-story facility will replace the existing branch with more office and transaction areas, more parking and more customer services. The Craftsman style exterior and interior design blends the traditional structures and values of rural Missouri , with the new services and technology of modern financial institutions. The historic old Kinderhook Country Club and Golf Course , on lake of the Ozarks, has commissioned Slone Architects and Interior Designers to design their new hotel and conference center. Providing over 80-suites with views of the fairways, the resort will now be able to host corporate events, weddings and family reunions in Adirondack lodge luxury. Construction has started and the expected grand opening is Spring of 2015. 1. Referrals: Start with your friends and family and then check in with the National Association of the Remodeling Industry for a list of members in your area. You can also talk with a building inspector, who'll know which contractors routinely meet code requirements. 3. Set up a meeting: Based on the phone interviews, pick three or four contractors to meet for estimates and further discussion. A contractor should be able to answer your questions satisfactorily and in a manner that puts you at ease. It's crucial that you two communicate well because this person will be in your home for hours at a time. On the other hand, don't let personality fool you. Check in with your state's consumer protection agency and your local Better Business Bureau to make sure contractors don't have a history of disputes with clients or subcontractors. 4. Compare Bids: Ask everyone to break down the cost of materials, labor, profit margins and other expenses. Generally materials account for 40 percent of the total cost; the rest covers overhead and the typical profit margin, which is 15 to 20 percent. 5. Talk about payment schedule: For large projects, a schedule usually starts with 10 percent at contract signing, three payments of 25 percent evenly spaced over the duration of the project and a check for the final 15 percent when you feel every item has been completed. 6. Put it in writing: Write up a contract that details every step of the project: payment schedule; proof of liability insurance and worker's compensation payments; a start date and projected completion date; specific materials and products to be used; and a requirement that the contractor obtain lien releases (which protect you if he doesn't pay his bills) from all subcontractors and suppliers. Insisting on a clear contract isn't about mistrust, It's about insuring a successful renovation. GM New Dealership renovation project completed by Slone Architects & Interior Design. 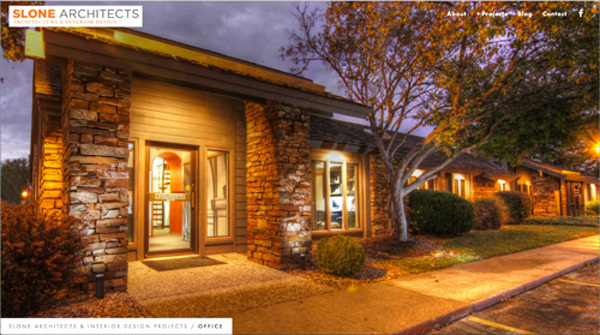 Slone Architects & Interior Design has been working on GM's image renovation projects across the Midwest. This transformation project lead by GM, began in 2009 and it is believed to be the brand's largest image transformation in their brand's history. By 2016, GM expects that 2,500 of its 3,000 dealerships will complete this voluntary renovation. This is a much needed makeover: 60 % of the existing dealerships when the program was launched were built before the mid 70's. Among other requirements, the upgrades include a bright blue archway with aluminum panels on the sides, new signs, more modern interiors and lounges with free Wi-Fi. In some cases, dealers might also open cafes or salons. The goal is to improve the customer's experience which will lead to more sales. This is a space to showcase the status of our projects, news and tips in design and architecture.